For our 27th feature, we have 'Basic Biology', a brand new project by Thomas B. and Matthew C. from Tucson, Arizona. Their very first release [about a month ago] on 'Free Love Digi' - Twilight / Sensational, was very well received and we at DnB India still haven't stopped playing it on loop. In their own words, the project is 'An organic creation of two different dudes, with two very different musical upbringings'. Their approach is an experimental yet palatable one, where they pay little heed to 'style' or 'genre'. Instead, they simply enjoy creating what comes naturally using organic and synthetic elements. Read more to find out a little more about these two, while you enjoy this fresh mix-set exclusively done by them for us. 1. For the fans who are new to your music, tell us more about you guys? A - We’re based in the Sonoran Desert. The smell of creosote, the sight of sunsets, and the diverse biology of the desert influence our sound. We weave desert foley into our sound, opt for organic textures, and use analog synthesis whenever possible. What we’re trying to say is, we love making heaters at the cross section of warmth and character. 2. How did the idea of Basic Biology come about? A - The idea came about through an organic, natural exchange of tunes. Honestly, the name itself was harder to create than the music. We’d gone through the typical try-every-band-name-in-existence rigamarole and nothing stuck until one night, unexpectedly, during a nighttime backyard hang, Thomas B’s wife, Mica, threw out ‘Basic Biology’; it felt as if the sky opened up and a large Monty Pythonesque horn shone through them clouds and blew us a kiss and a wink. 3. You guys started your respective careers very early in but when did drum and bass become the stand out genre for the duo? A - You tend to meet the nicest, most accepting, and passionate people at drum n’ bass shows. It’s a genre that’s crafted with equal passion as it is listened to, and that is truly unique in our experience. We both listened to bundles of hip hop growing up as well, so dnb is logical. We opt for the natural. Drum and bass is constantly evolving, and we like challenges. 4. How would you like to describe Basic Biology's style? A - Straight up, Thomas B brings the swag sauce and compositional sensibility, and Matthew C brings tender musings. We don’t necessarily go for a particular style per se, but our collaboration has always been seamless and natural. It doesn’t matter who starts or finishes the track. We also love working with our friends! Music is about connection at the end of the day. Our style is about connection. 5. Honestly, 'Sensational’ and 'Twilight’ sound freaking dope. What are your thoughts on the final outcome of the tunes? A - Thank you! They were both struggles at mix down. Luckily, our dear friend Moralz—Jo-S—provided invaluable feedback and helped us immensely. For example, the dusty nature of sensational inspired the vocal, but ultimately had to be dialed down before mastering; the noise floor was just too insane to bring to volume. We love Twilight as it allowed us to showcase the beauty of our friend Megan McKay. She has amazing pitch, sensibility, and her vibrato is on that Stevie Nicks tip; she’s an absolute love and pleasure to work with. We have several more collaborations in the works with her (and other artists; e.g. Blake Brady) that we’re excited to share in the near future. 6. What are your thoughts on the way drum & bass has evolved over the years? How important is it for labels to give an artist the creative space they need to innovate and deliver fresh and cutting edge music? A - We love where drum and bass is going. It’s evolved into a somewhat ‘anything goes’ sound and brings many styles to the listener and it’s one of the most creatively open genres in our opinion. We were very lucky to have our first release with Free Love Digi. Quentin Hiatus is an absolute master. He encourages us to go for whatever we want and is one of the most supportive individuals we’ve ever met. He’s constantly inspiring truth. If you’ve met him, you know. Quentin’s cultivated an environment over at FLD where we’re proud to be ourselves and express whatever we feel is important. 7. Five tunes you guys are digging at the moment? 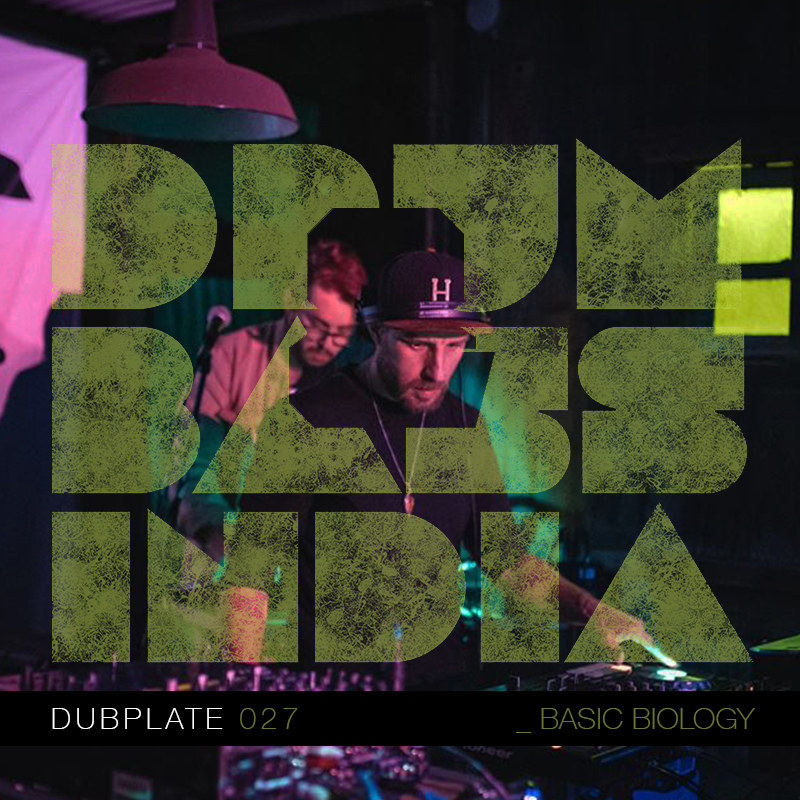 Follow BASIC BIOLOGY - Facebook | Soundcloud.